Recruitment agencies are the backbone of all the private sector firms. These agencies round the World carters to the demand of good, honest, hardworking, and quick witted professionals. In other words, the agencies recruit people to be employed under firms that belong to the private sector group of a nation. Candor Management Consultancy is a consultancy firm that runs in collaboration with various recruitment agencies across the globe and provides human resource for the smooth functioning of the private sectors. 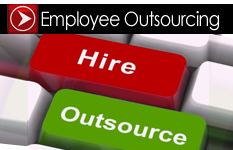 The Consultancy, here, provides ample support to the Recruitment Agencies. In every nation on the World Map there is a demand of recruiting employees from far and wide and Abu Dhabi is no exception to this. Most of the countries put an emphasis in recruiting workers from far and wide; this is because exchange of talents, brain power, and vision helps mankind and technology to grow. We are a consultancy firm based in the United States of Arab Emirates. We offer a broad spectrum of opportunities in almost all the private sectors to the recruitment agencies of respective countries. And a good many recruitment agencies of countries round the World have ties with us. Thus, with the vast openings we have up our sleeves to offer, we are somewhere contributing in eradicating unemployment from the earth to some extent. You can by now vividly imagine our wide spread global network. The recruitment agencies of Abu Dhabi, who are associate partners with us, provide us in details the type of vacancies they have and the criteria based on which the candidates are to be lined up. Once we get all the information we need to have, we proceed with the screening processes for the lineup. We have a team put together who deals with all sorts of screening processes. After shortlisting the candidates, we provide them with scopes for getting their visa done on time. And many such other sectors. We understand that the progress of a country entirely depends on the quality of employs/workers it has employed in the various sectors of out-turn and development. Thus, we strive to provide the best candidates we can get of hold of for a certain opening or post. For us, our associates and their nations are on high priority and our only job satisfaction comes from pleasing them. We go in great lengths to select the perfect one for a specific post. For us, the consultancy firm is not a mere source of generating revenue but also a platform of building networks between UAE and other countries. We are a group of dedicated and hard working professionals, leaving no stones unturned to provide the best human resource to each and every country we serve.